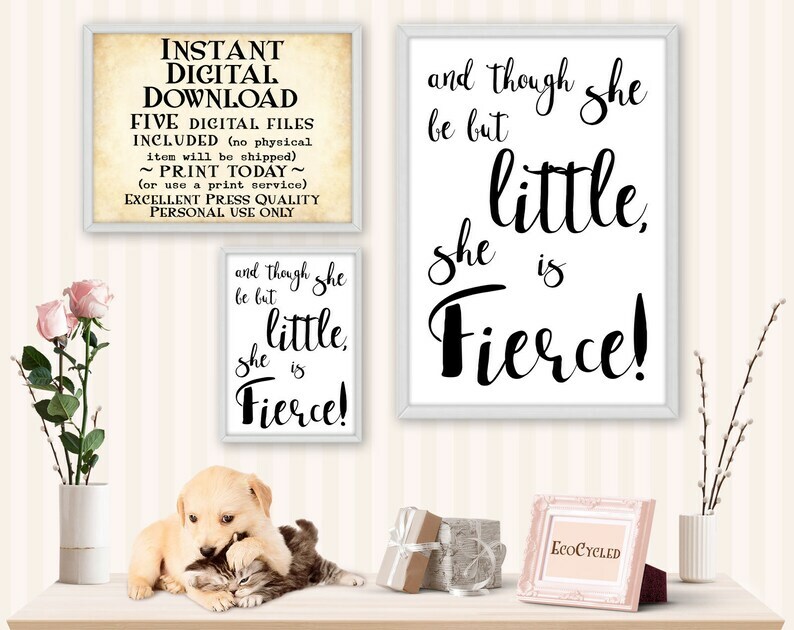 "and though she be but little, she is Fierce!" A printable Girl Power nursery gift, or for a best friend that you can download and print right now. Great for anyone who needs to be reminded of how awesome and strong they are. A quote from Shakespeare's Midsummer Night's Dream.